9th Annual Smooth Jazz in Canada! Canada's birthday is only a few days away and we're celebrating in the best way we know, by playing the music of Canadian artists exclusively on this our 9 Annual Smooth Jazz in Canada Special! Included on this edition are many of the usual suspects in Les Sabler, Warren Hill, and Four80East. Also appearing are Rob Tardik, Gabriel, and Jamie Bonk, while in addition, there's a 6-pack of featured tracks with Brian Hughes, Vince Mai, and Kim Nishikawara - while the other half of that has James Gabriano, Robert Michaels , and Stuart Steinhart - and they're all wearing that 'made in Canada' tag. So let the pyrotechnics begin - and setting off the first bottle rocket is Les Sabler with Crescent Shores on a 100% Canadian special! 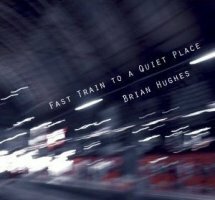 With Fast Train to A Quiet Place, guitarist Brian Hughes marks a return to the studio with his first project of all new material in nearly a decade. However, Brian has not been inactive, in fact far from it. Although it's not well-publicized, the native of Vegreville Alberta leads a double life as a musician. There is of course his jazz persona, which is the side that we here at the Café are most familiar with - in that regard, in the past few years Hughes has issued both a Live cd as well as a DVD. Even so, back in the 80s, Hughes connected with a fellow product of the prairies in Manitoba's Loreena McKennitt after both had relocated to the Toronto area. With Brian handling many of Loreena's production duties, he's also contributed instrumentally, handling a variety of strings from acoustic and electric guitars to the more exotic balalaika, bouzouki, oud, and sitar. There is a trade-off of course as even though Hughes gets to stretch himself in a variety of musical directions, the accompanying touring has to be demanding. With a welcome break in that hectic schedule, it's no wonder then that Brian named this latest effort Fast Train to A Quiet Place! From that release, we present Brian with the Latin flavoured romance of You & I ! Originally from Vancouver Canada, saxman Kim Nishikawara is a 30-plus year veteran who studied arranging and composition at the Berklee College of Music. Over the years Kim has worked the likes of The Powder Blues Band, Downchild Blues Band, Long John Baldry, and Michael Bublé among others. A few years back, he relocated to Manchester, England and since then he's expanded his horizons with several diverse projects from live theatre to touring with the likes of Chris Farlowe as well as playing with & arranging for Jim Bamber and others. 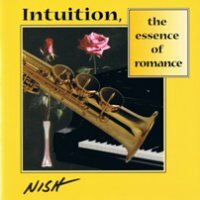 However, just before that move Kim recorded a cd as Nish and from that effort there's a leisurely affair of the heart entitled Meander! 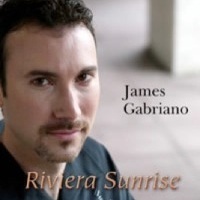 Guitarist James Gabriano started playing at the age of 12 and took classical lessons for several years before his family moved from Toronto to Dallas, Texas. Shortly thereafter, Gabriano enrolled at UNT where his focus broadened to include jazz studies. After forming his own band in late 80s, Gabriano became well known in and around the 'Big D'. Initially grounded in Latin jazz and flamenco, over the years Gabriano's musical purview grew to embrace a blend smooth and other styles. He debuted in 1992 with 2004's Riviera Sunrise was his fourth and likely most accomplished effort to date. From an effort that featured the likes of Wayman Tisdale, Steve Reid, and Alex Al, we have the acoustic gem Red Giants and White Dwarfs! Roberto Michele Buttarazzi, aka Robert Michaels, is a Juno winner and considered one of Canada's most accomplished Latin Jazz guitarists. In spite of the fact that Michaels was Toronto born, he came by his Latin credentials quite honestly as he was raised in a mountainside town about 95 kilometers outside of Rome. When he was two, Roberto's Italian parents moved there and that was where he developed his love for the music that would later inspire him! Buttarazzi's was an accordionist, but even so Michaels didn't feel moved to play music until he was a teen in the 60s and his family had moved back to Toronto - his first guitar proved totally makeshift, just a piece of wood with strings nailed to it and some drawn-on frets. Drawn to the complexities of jazz and classical music, Michaels auditioned for and was accepted to Humber College where he honed many of his writing and arranging skills. After graduating he played bass in a short-lived trio and then later he performed traditional pieces as Roberto. The name change to Robert Michaels followed the demand for music from his show so he went with his middle name and that eventually evolved to Michaels. Impressive sales for a 1994 debut and a Juno nomination for the follow-up caught the attention of Warner Music, who ultimately released Utopia in 1998. His fourth album, Allegro, went on to win a Juno, but on this occasion we have a superb track from Michaels and what was his major label debut! 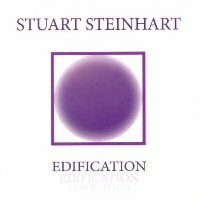 For many years Toronto native Stuart Steinhart performed, wrote and recorded for other artists whose projects frequently received various forms of recognition. Then a few years back, Steinhart shifted focus to include producing more of his own work. Initially he collaborated with Nura for her self-titled debut, and a project that allowed Steinhart the opportunity to stretch out in new and exciting ways. Then after a gap of a few years, Steinhart returned with Edification, his own solo debut that gave him the further freedom to explore a penchant for experimentation while combining that many aspects of his technological expertise. Featuring an all-star cast with the likes of Don Grusin on piano, Vinnie Colaiuta on drums, Luis Conté on percussion, and with David Blamires & Nura on vocals, the cd traversed many facets of jazz while documenting Steinhart's musical journey to that point in his career. From an effort that will satisfy even the most discerning palette, we present the epic grooves of Same City Different World with Tom Scott on sax! 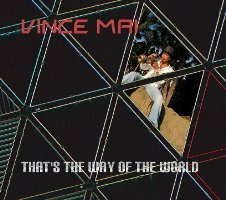 A stalwart on the west coast music scene, Vince Mai has been serving up a unique blend of smooth, Latin, and straight ahead jazz for many years. In addition to developing a reputation as a dynamic soloist, Vince is well known as a top call studio player with credits that include The Powder Blues Band, Natalie Cole, and Tom Jones. Additionally Mai has been featured on commercials, film & TV in both Canada and the USA while over the last decade he's also started to emerge as a front man. After a 2000 debut that primarily featured his take on a few jazz standards, Mai has incorporated diverse world elements while drawing inspiration from his travels. From That's the Way of the World and his fifth project overall, our choice is Love Is and another fabulous Mai original! SJIC continues: On this edition, we're featuring more great grooves from the great white north as we continue with our all Canadian review. Included are a few long time favourites by Shikandaza and Amarosa plus a couple of others that are done by Joni Mitchell and Darren Rahn. Also appearing is a segment we're calling A to the Zed featuring Alexander Zonjic, Alex Zografov, and Alfie Zappacosta. Those and all the selection we're playing are 100% Canadian this being part and parcel of our yearly Canada Day celebrations. In the meantime, the first sparkler for this show is from Mark Bracken!